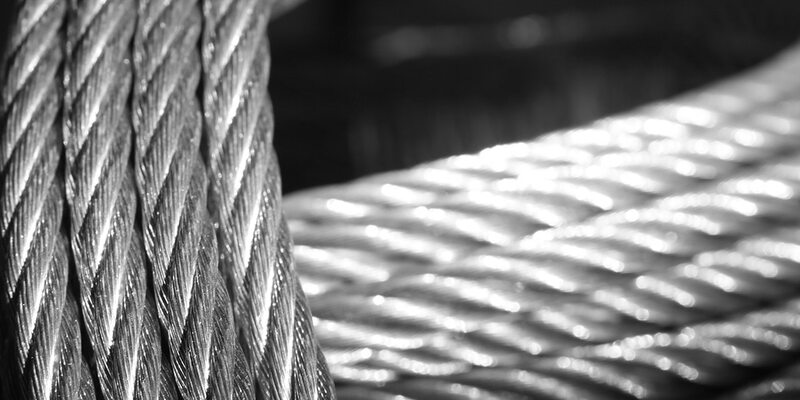 Our wire ropes come with an “EC” Declaration of Conformity in compliance with the community directive on machines 2006/42/EC and with a 3.1 type inspection document according to UNI EN 10204:2005. We can provide the certifications by qualified authorities (RINA, Lloyd’s, etc.) regarding the product specifications (chemical analysis, breaking force, etc.) on request. 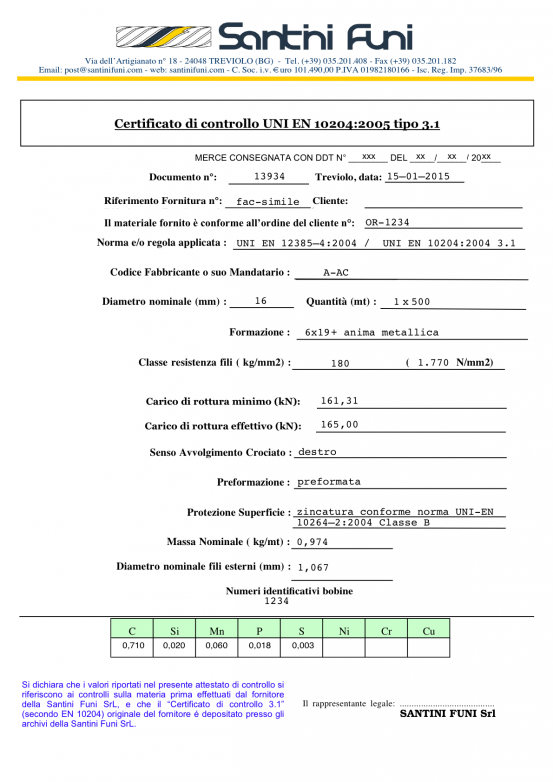 SANTINI FUNI Srl est certifiée ISO 9001 depuis le 6 décembre 2016, numéro d’enregistrement 66Q18096 publié par UKAS MANAGEMENT SYSTEMS de Londres. Steel wire ropes – Safety (Part 4: 3-stranded wire ropes for general lifting purposes). This standard sets out the technical specifications for our products, such as the resistance levels, wire rope construction, lubrication, diameter tolerance, minimum breaking force and relevant calculation coefficients. Steel wire for wire ropes. This standard specifies the galvanisation grade for wire in steel wire ropes. Two classes are currently defined, A and B. We can conduct chemical gravimetric analyses to guarantee the class of our products (analysis method in compliance with EN 1460:1997). Steel wire rope terminations. This standard defines the specifications for aluminium alloy ferrules used to manufacture fixed eye bolts. Types of inspection documents. We issue a 3.1 type inspection certificate for each one of our wire ropes in compliance with this standard. The 3.1 type certificate is issued on the basis of the manufacturer’s certificate and envisages the presence of a system of product traceability.